Mimi Hudoyo is the Editor for TTG Asia Media in Indonesia. Having joined the media group in 1998 as a correspondent, she was then promoted to senior correspondent and currently is the editor. 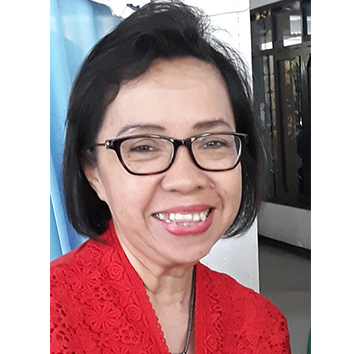 Mimi began her career in 1985 in the travel journalism industry as a reporter for the Travel Indonesia Magazine, and as an editor with the Media Indonesia Daily in 1994. With over 3 decades of experience as a journalist and editor within the travel and Business Events industry, Mimi is one of the leading authorities of the industry in Indonesia. She is also a highly-sought after speaker within the industry. Her contribution to travel journalism has been decorated with numerous awards, including the Special Award, Travel Journalism from Indonesia Minister of Culture and Tourism in 2005, the Ambassador of the Voice of the Indonesian MICE Award, Journalism Category, from the Indonesia Congress and Convention Association (INCCA) in 2008, and PATA (Pacific Asia Travel Association) Gold Award—Travel Journalism-Industry Business Article in 2016. In 2013, she was conferred the prestigious Lifetime Achievement Award, Travel Journalism from the Indonesia Minister of Tourism and Creative Economy.